Sarah Brown emailed us hoping to figure out bridal flowers for her wedding remotely since she wasn’t able to visit us in New York. 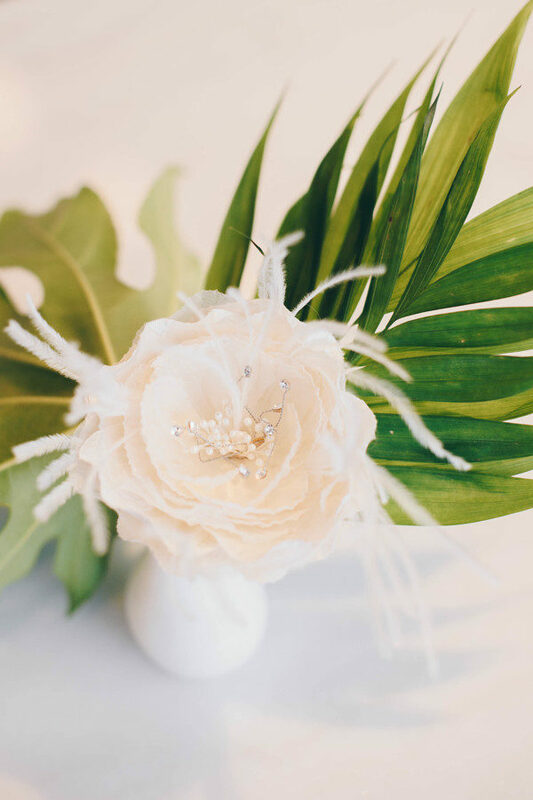 We bounced ideas back and fourth through email (which we are always glad to do) to create a custom bridal flower hair accessory, a matching boutonniere, and petals for the flower girl to toss. We enjoyed helping Sarah with her custom flower needs! She first picked some styles from our website’s gallery that she liked, along with an idea of a budget for the project. Sarah liked more freeform looking flowers that would compliment the wedding’s subtle retro flair and the historic building in Richmond, VA where the wedding would take place. Sarah sent us the fabric for her order. 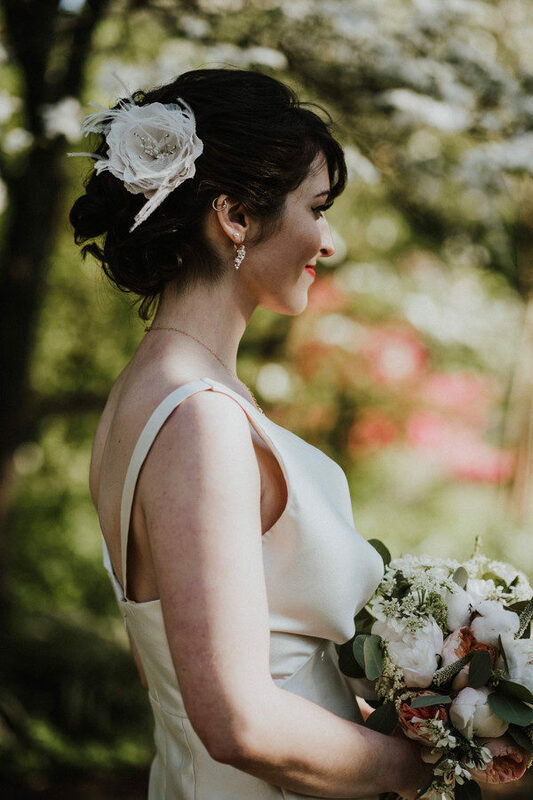 The bridal flower hair pin was made using silk cotton and silk organza—which created a nice two-toned effect—rhinestones, and feathers. The turn-around time for Sarah’s small custom order was around 3-4 working days, which included the flower hair piece, a matching boutonniere, and flat unstarched petals for the flower girl to toss (Petal #20 from our gallery that we recommended the bride cut into four separate petals). 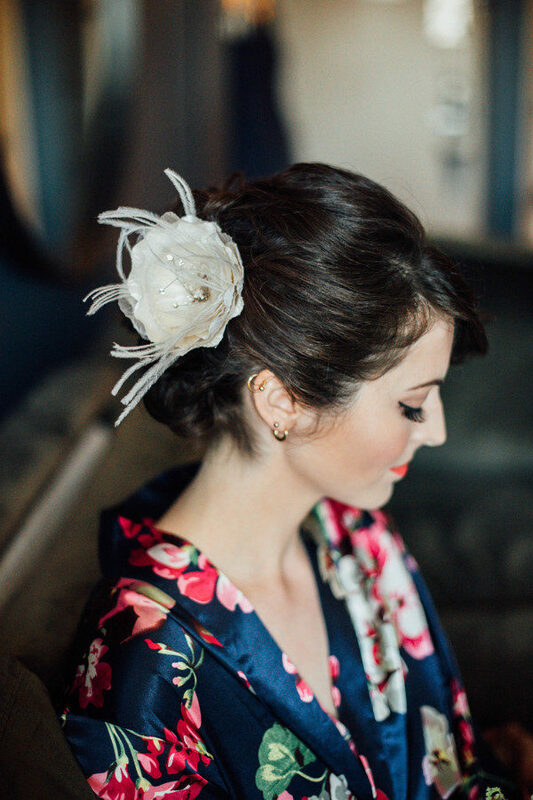 It was our pleasure to create and assemble the hair piece with Sarah from afar. 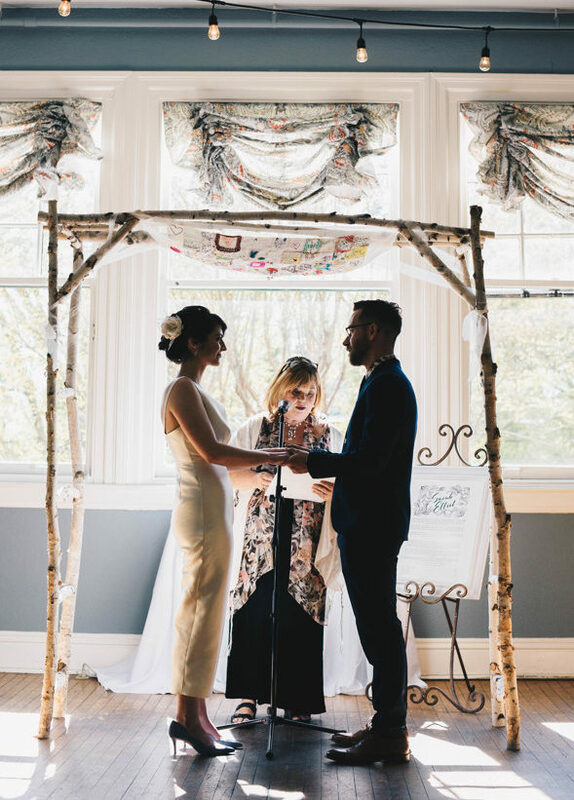 Here are a few photos that Sarah sent us from her wedding.